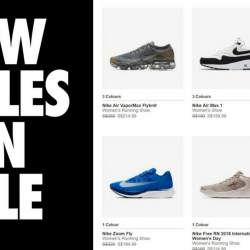 More styles have been added to Nike's online sale! Get up to 20% off selected sports shoes and apparel including kidswear for a limited time only! Shipping is free with orders of S$75 and above. Limited time only! 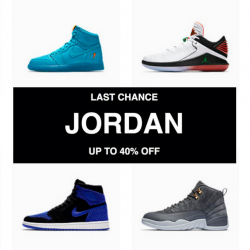 Nike: Last Chance to Grab Select Jordan Retro Styles at Up to 40% OFF! Last chance to grab a pair of Jordan Retro shoes at up to 40% off at Nike's Official Online Store! Delivery is free with orders above $75. 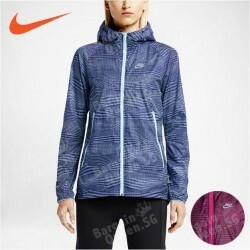 Other Nike apparel and shoes are also on sale! If you are an avid sneaker collector or just looking for new sneakers, don't miss this sale! Nike's online store is now offering international delivery to Singapore and they are having a 30% off Last Chance Sale on selected Air Jordan sneakers! Use the coupon code at checkout. Free shipping to Singapore with orders above $75. Sale ends on 7 Mar or while stocks last. 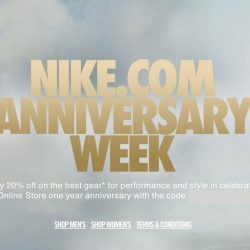 9 - 12 Nov 2017 Nike: Enjoy 20% OFF Storewide Online with Coupon Code! Enjoy 20% off on the best Nike gear for performance and style in celebration of Nike Online Store's one year anniversary with promo code! Exclusions apply. Celebrate International Women’s Day with Nike. Head to the nearest Nike store and enjoy 38% off on selected Nike Women’s Apparel from today to 12 March. The newly-arrived Nike RU Fly Windrunner Women's Jacket is made with weather-resistant fabric and a classic chevron chest panel for a comfortable fit and inspired style. An interior waist drawcord delivers a custom fit and flattering shape. 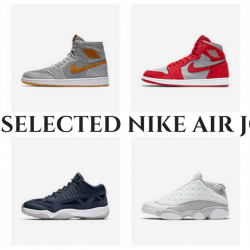 Jay Gee Cardmembers enjoy 10% off regular-priced items at Nike. 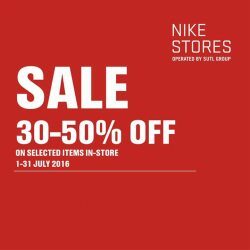 Shop at Nike and take 30% off your second item with the Jay Gee Card Members. Promotion ends 11 Jan 2015.